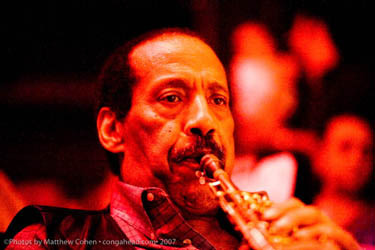 On August 10, 2007 Domincan born Mario Rivera died of cancer at the age of 68. I first met Mario when he recorded the Just Like Magic album in my basement studio in 1979. Those were great times, having the likes of Mario, Patato, Tito Puente and Johnny "Dandy" Rodriguez in my home studio. Years later when interviewing Mario I asked him who introduced him to jazz and he said that I did by having him record on this historic recording. I was very honored to hear this and to know he went on to work with giants of jazz including Dizzy Gillespie and the United Nations Orchestra. He was one of the most talented musicians I knew who could play just any instrument he picked up including drums and piano.